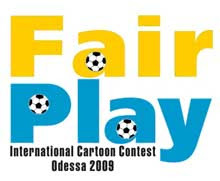 Worldwide Club of Odessites, Odessa Cartoonists’ Association and «Vikna-Odessa» Informational Agency announce about The «Fair Play» International Cartoon Contest. The contest is announced for the decision of the European football officials revoked Odessa right to receive matches of EURO 2012. The verdict brought to Odessa is unexpected, unfair, opaque, and motiveless. 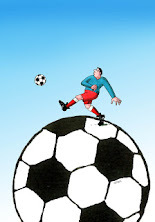 It clashes cardinally both with conditions precedent for candidate cities selection and with conclusions and recommendations by UEFA experts, and also violates one of fundamental concept principles of fair play, i. e. equal chances — all of sportsmen starting the competitions could equally claim on victory. UEFA by its decision left Odessa without EURO 2012, and EURO 2012 — left without Odessa, and entire world is at a loss... (that’s not less sad). Events, relations between people in sport (in football particularly). Situations could be reflected in a humorous mood, possibly, underlined in Russian, Ukrainian or English. 1). All comers can participate. 2). Pictures (electronic copies) can be done in any technique. The amount of pictures by one author is limited by five. 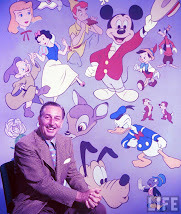 Pictures having awards of other cartoon contests can participate. 3). Art pieces are to be forwarded via e-mail: odessacartoon@gmail.com and are to have resolution of 300 dpi, sized A4, format JPG or PDF, max 2,0 Mb. 4). 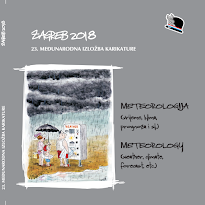 Every picture is to be forwarded attached to a separate message, including artist’s questionnaire, address, e-mail, and a picture of the author. 5). Deadline of pictures receipt — June 20, 2009. 6). Pictures forwarding to participate the contest will be exhibited at “Vikna-Odessa” website (http://www.viknaodessa.od.ua/) as they are received. 7). The round off of the contest according the decision of competent jury and announcement of winners will take place on June 26, 2009 in Odessa (Ukraine). 8). Art pieces forwarded to the contest will be exhibited since June 27 in free access in Odessa. 9). The pictures sent to the competition can be used by contest founders in ads and for Internet exhibitions. 10). Participating the contest artists consent that their works could be used in shows in Ukraine and abroad. Encouraging and special prizes from sponsors of the “Fair Play” International Cartoon Contest are possible. Contest coordinators: Peter Siguta, Eugene Volokin.